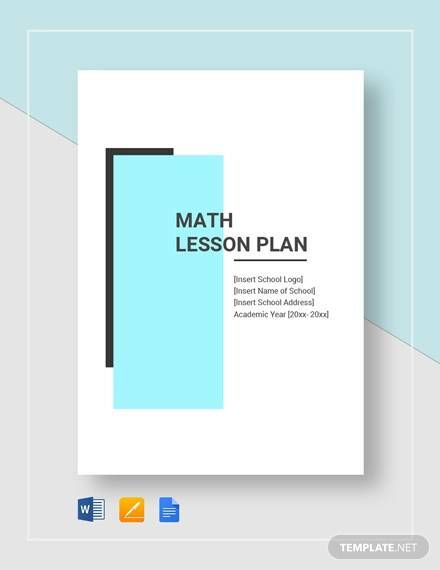 An Effective Math Lesson Plan Template Helps a Teacher Stay Organized While Working and Gives Ability to Efficiently Deliver Content when Teaching Math teachers require staying organized when conducting their classes because they handle many classes in a day or a week. 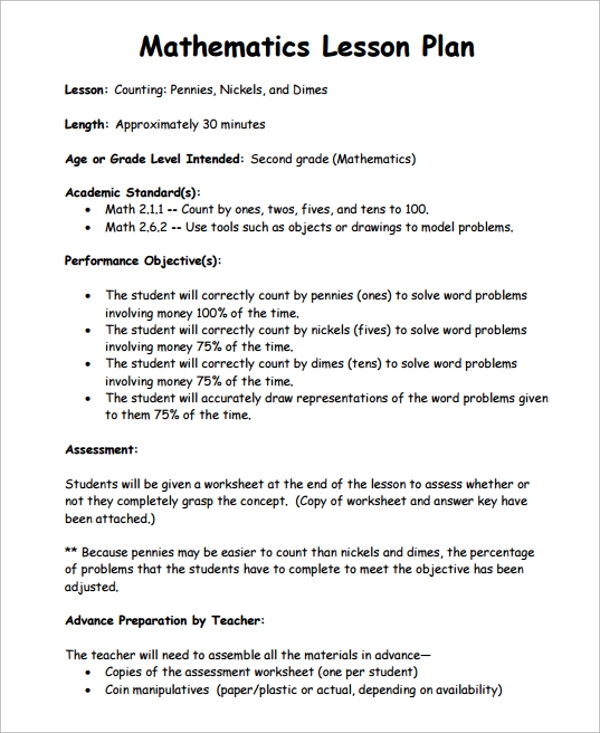 A math lesson plan helps you be composed and productive while handling a lesson. 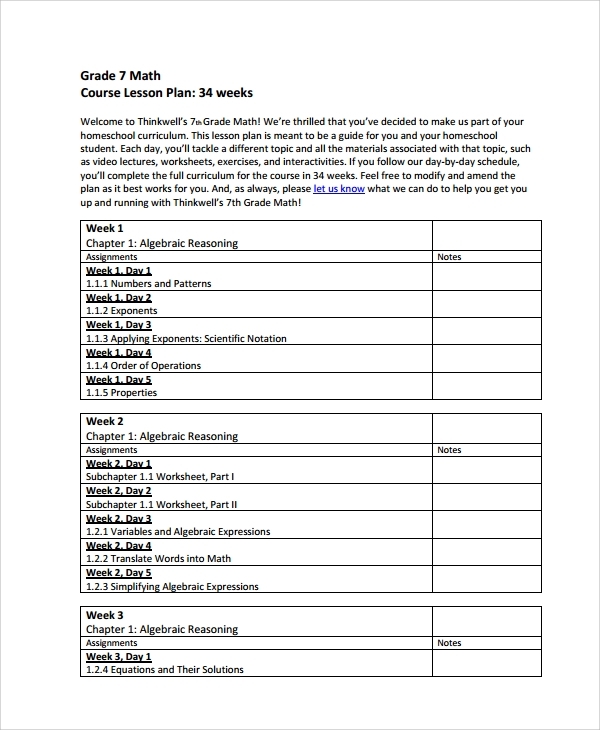 We have designed different math lesson Plan Templates for you which can help you handle your job better than without one. 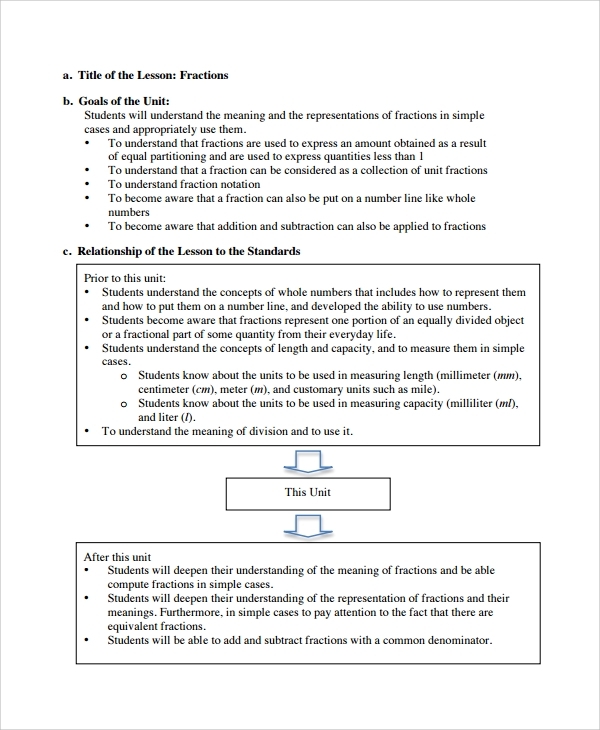 The template is a math lesson learning math free pdf. At the top, the model includes the name of the class the plan is for, the date, the school’s name and the name of the teacher. Its body begins with stating the name of the topic to teach and the goals to achieve in the particular lesson. After that, the relationships of the subject with other units should follow and the instructional plan of how you will teach. 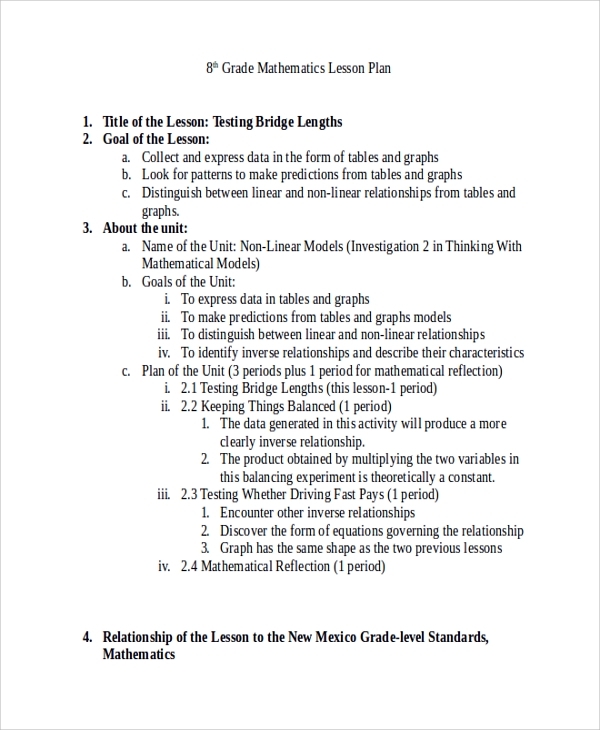 Finally, the model requires that you list the activities you will carry out in class to help the class gain an adequate understanding of the topic. The startup part of this model resembles the one in the math workshop lesson template, though, the time can be for many classes and different lessons. 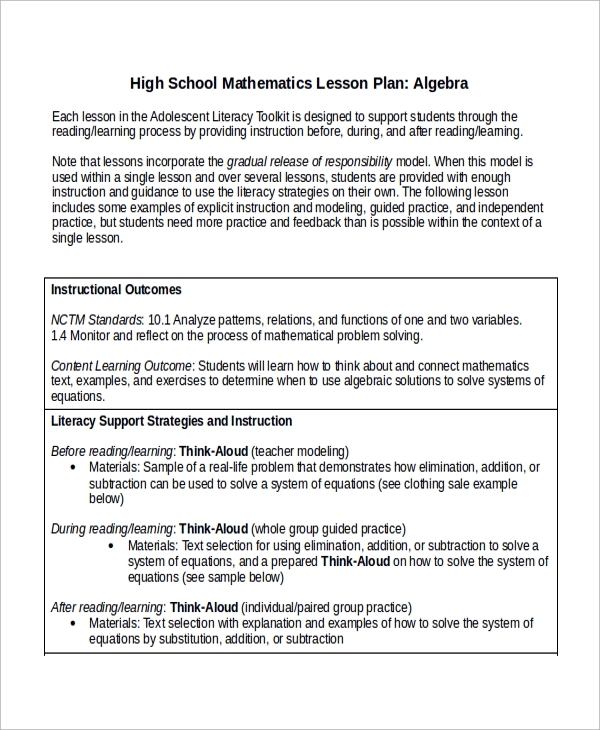 However the instructional plan, instead of stating the learning activities in class, it has daily lesson plans which record the daily learning activities and every aspect about how to hand the topic including the goal of the lesson. At the end of the plans of every day’s work, there are evaluation questions. 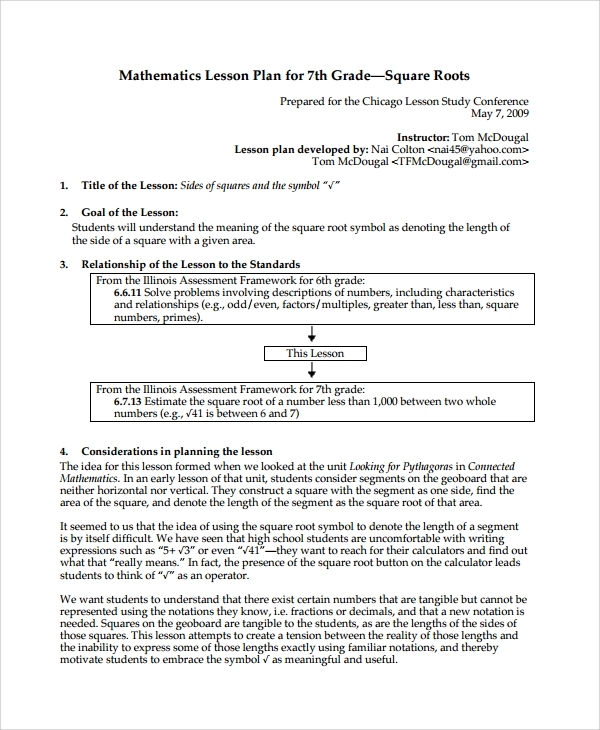 The introduction could include the goals set for the lesson and how you will engage the students in discussions about the topic. 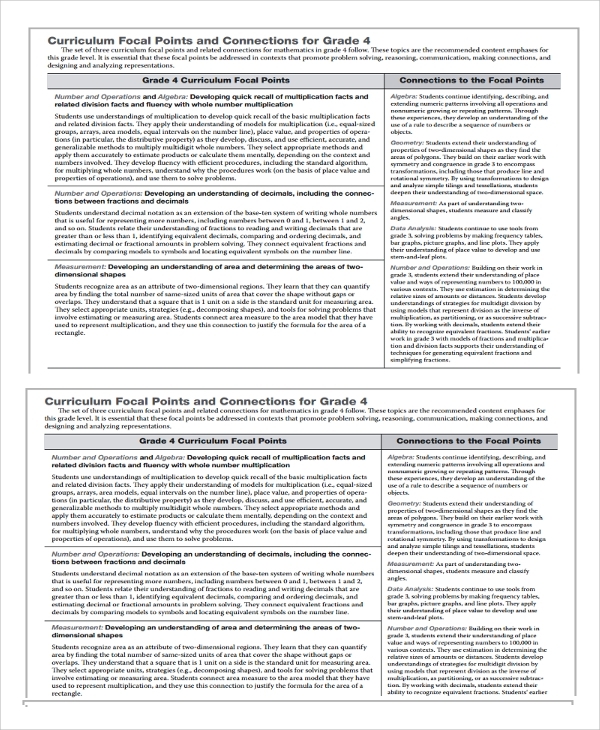 Next, the document should state the interventions and what you will teach first to give the students and idea of what the subject entails. After that, you put down the areas you will be covering and the expectations. 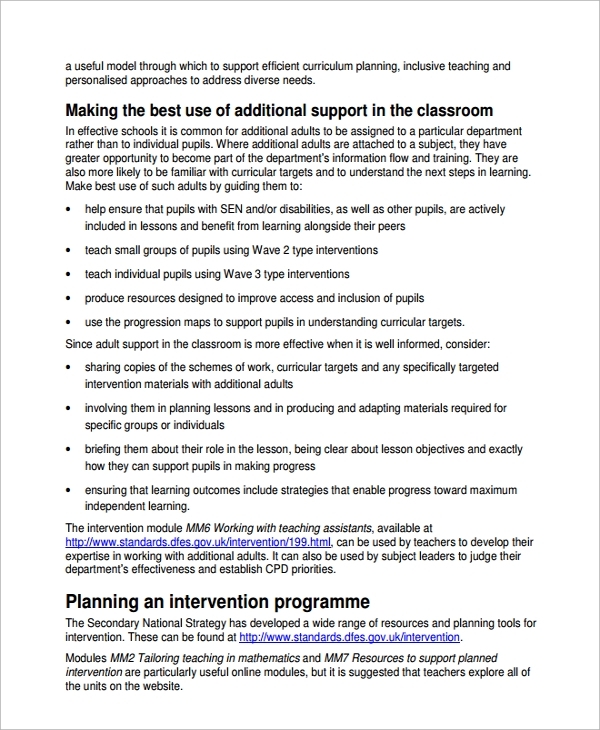 Finally, include a description how you will accelerate learning while flowing the topic, relate with the learners and a program for interventions. The model requires you to create a curriculum for working to keep you focused. The curriculum will help promote a better understanding of the topic for the students. 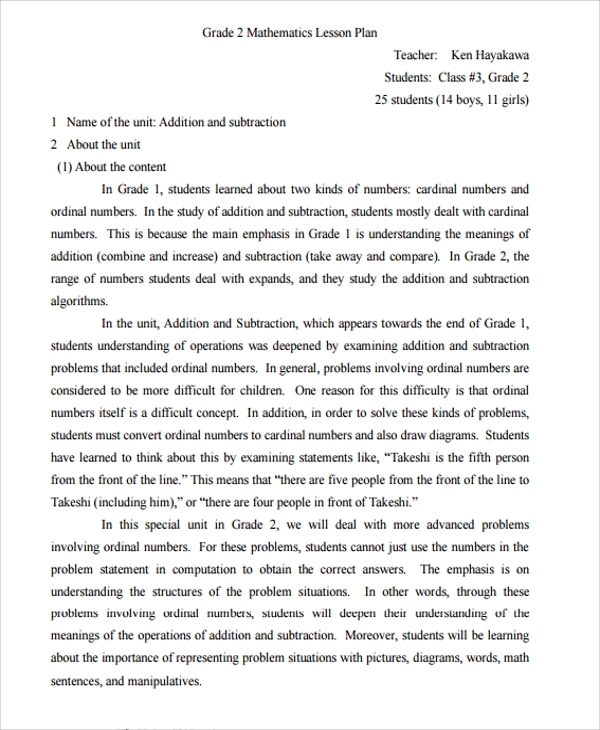 It also requires you to set time for solving complex issues in the subject for the students. 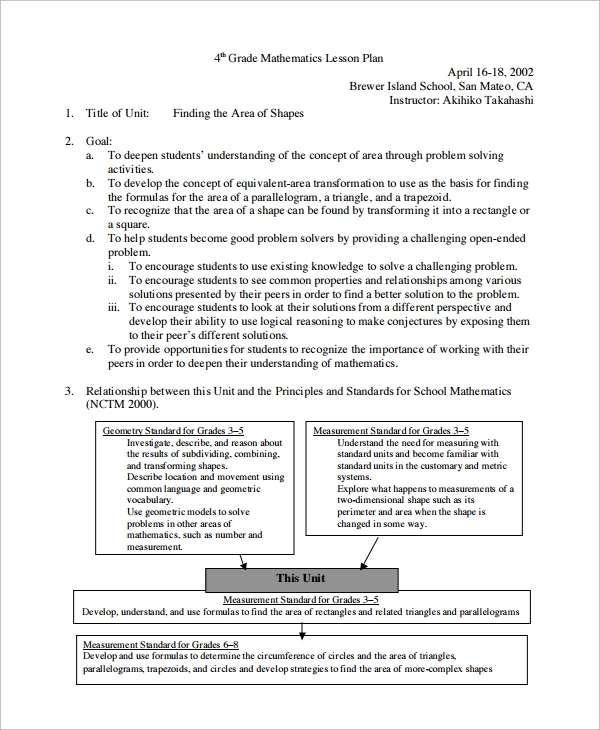 Finally, the model requires you to narrate the teaching approach you will use to make the students understand the topic. Our templates are readily available and affordable. In case you want some custom modifications done on your template, you can consult our experts to give you the best model.